Last January I told you about an up and coming company developing online programs for kids, Flying Rhinoceros. I enjoyed my experience reviewing PrezQuest for them so I was thrilled to hear that they have expanded their offerings to include three new experiences. Carter and I jumped in for the Insects class last week and yesterday my 81 year old mom did the Presidents experience with him. We all found it really it easy and fun to use. 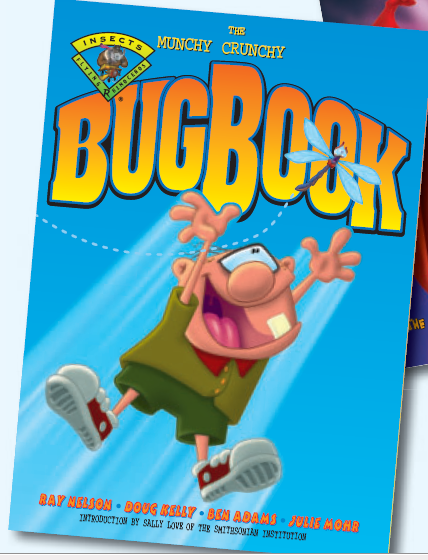 The character in the Insects kinda freaked Carter out though (in a funny way). He kept telling me that “That is NOT a kid it is a creepy old man”. I kinda have to agree. He found the ‘boy’ hysterical. 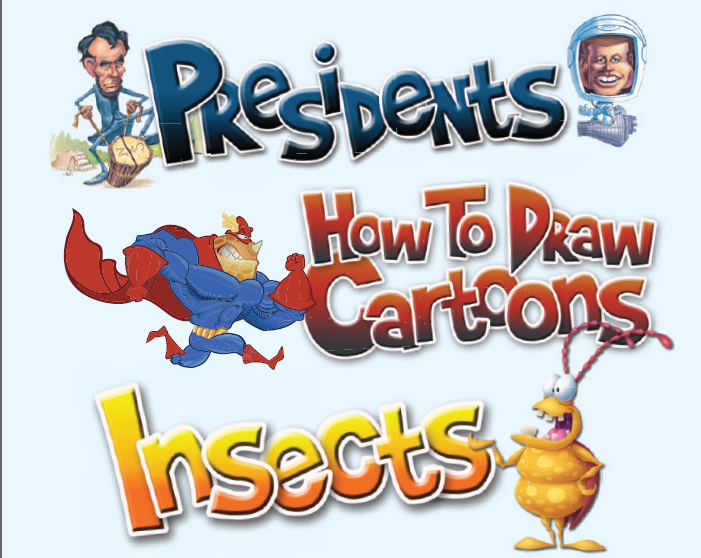 Next week we are looking forward to the How To Draw Cartoons class. He actually has this one marked on the calendar so he doesn’t forget. The live teacher really is an ingenius way to grab the kids attention. The first day of whatever series you choose, the class is live and interactive. There is an actual ‘teacher’ there to guide you through the activities. You sign in on the top of the hour any time between 10am-7pm MST. My son LOVES asking questions just to make sure that the person is real and not a set up They are. The teacher calls your child by name and interacts with them one on one. 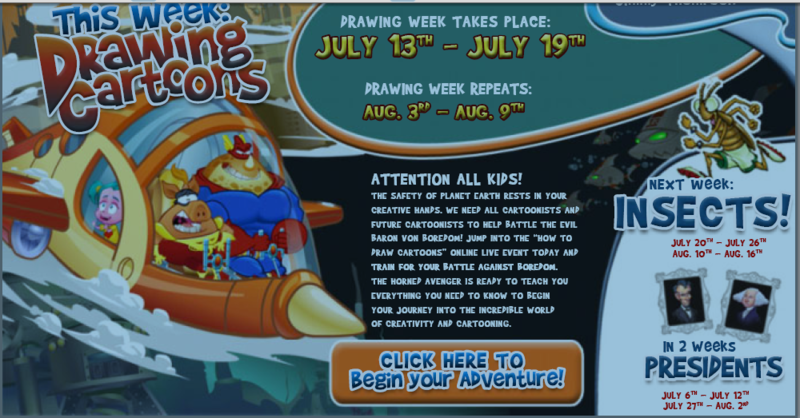 The remaining days of the series are activities that you work on with your child. Fraboom provides a very well done activity guide for you to download and print (my only complaint is that it uses a TON of ink so I don’t print the first page). Seriously, you all really need to check this company out. I absolutely love them. The series of three classes is $9.99. They were nice enough to offer 5 memberships though for me to give away to my readers. Would you like one of the memberships? Here is your chance to win! REQUIRED Initial Entry: Just leave a comment on what you think your child might like about Fraboom. You can go to the Fraboom site for more ideas. This company is all about listening to us parents, so honestly tell them what you think! Please leave a separate comment for each entry. Must be 18 years of age or older. We reserve the right to remove any entry from this giveaway that doesn’t have the requested information. This giveaway ends Sept 4, 2009 11:59 pm EST. Please allow up to 4 weeks to receive your item. If the winner does not respond within 48 hours another winner will be chosen. and don’t forget to add yours to my weekly giveaway linky!